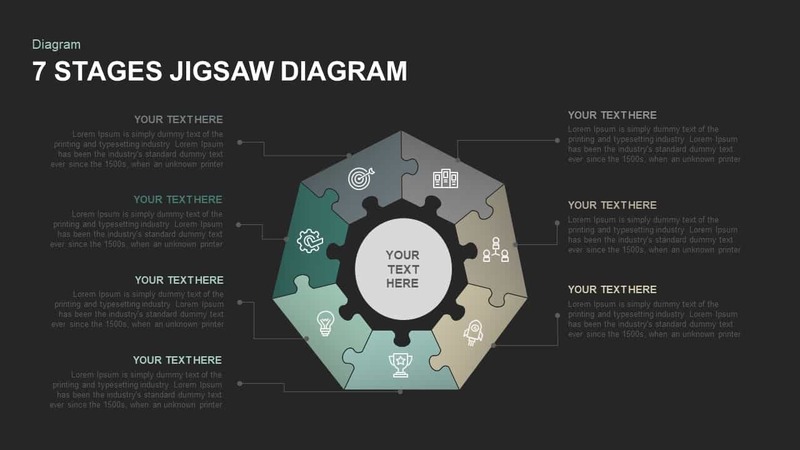 7 stages jigsaw diagram template PowerPoint is a generic diagram created to display seven concepts of any event or phenomenon. 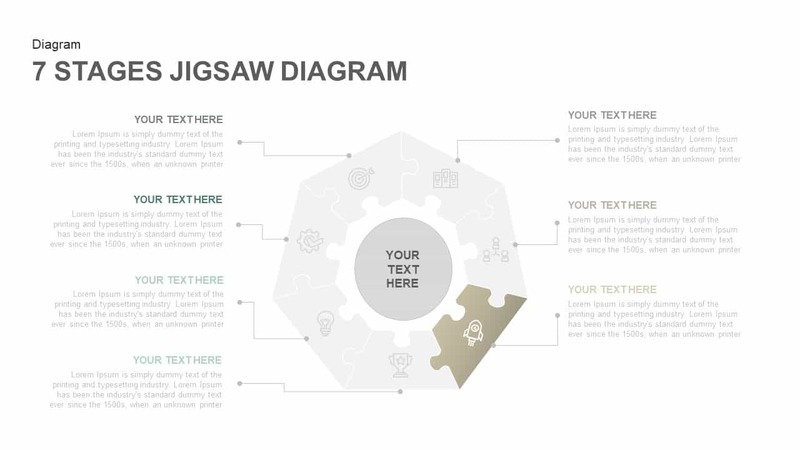 The template contains jigsaw pieces that are connecting each segment. 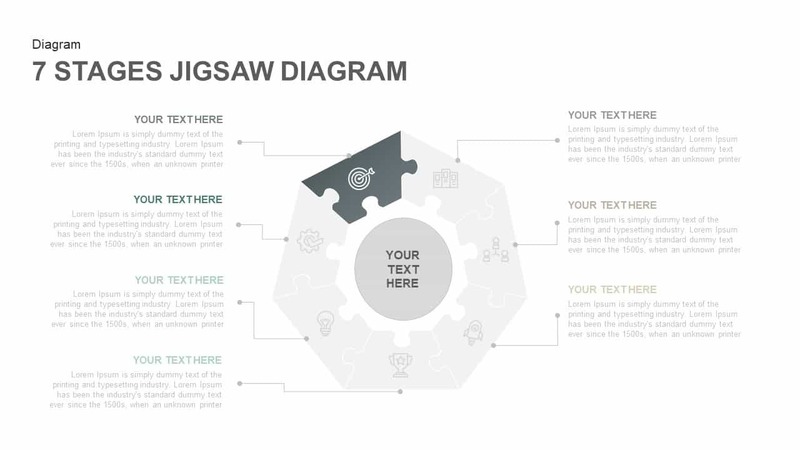 The template is perfect for business process presentations. 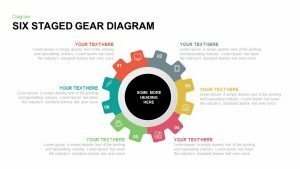 The illustration assists to stress on relevant ideas in the circular process flow. 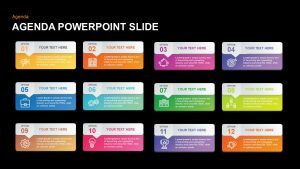 The PowerPoint is an amazing tool for displaying business management structure of organization and the flow of business process development. 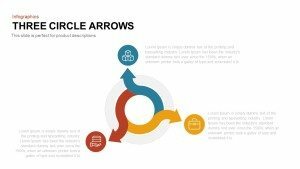 It is useful for defining process models, development, design, quality and change management etc. 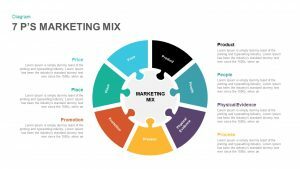 the phases of project development and the marketing mix strategies can be illustrated by this seven stage ppt diagram. 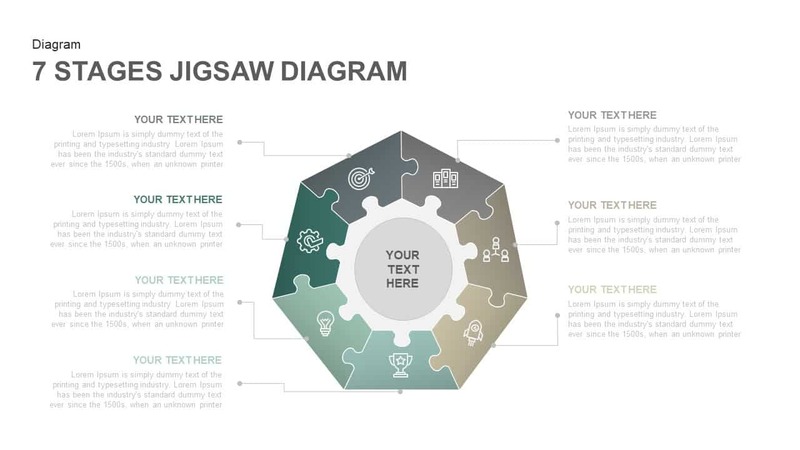 Seven stages jigsaw diagram template for PowerPoint presentation contains seven PowerPoint clipart’s. 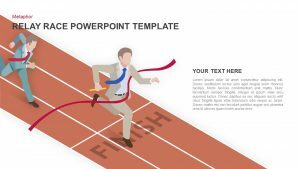 Each PowerPoint icons has its own meaning and function. 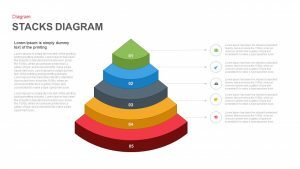 The functional analysis of business management and structure can be done with the help of these icons. 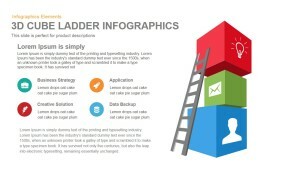 The icons are included; the bulb, gear wheel, targeted arrow, communication devices, connected people, rocket and the trophy. 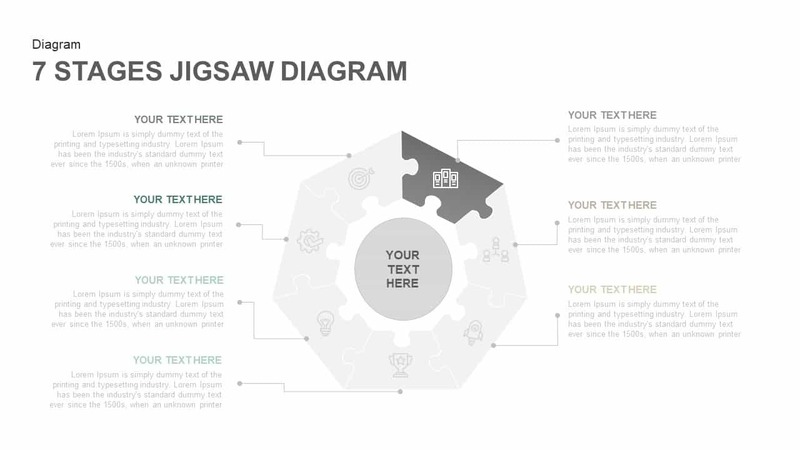 Each icon will help the user to develop a topic which is associated with the presentation theme. 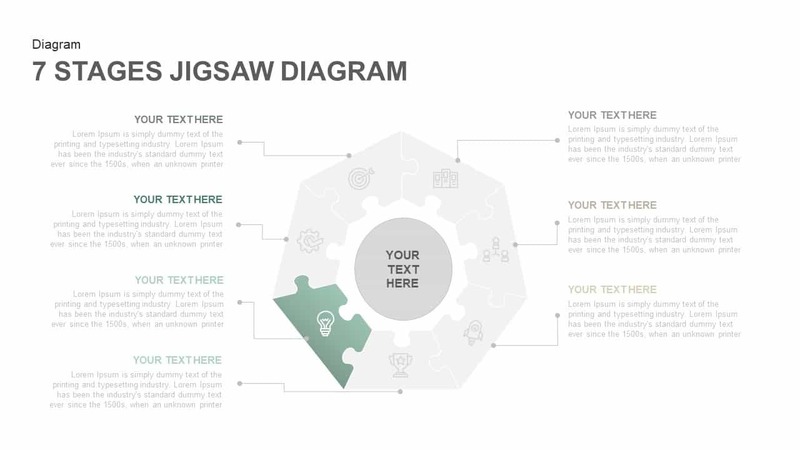 For example, if the presentation is related to strategy development of startups, the users can use the bulb icon; because bulb is represent an innovative idea or concept. 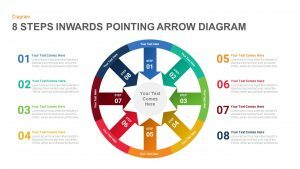 Similarly, if the presentation is related to marketing and sales, the users can choose the trophy to delineate the effect of hard work to achieve the success. 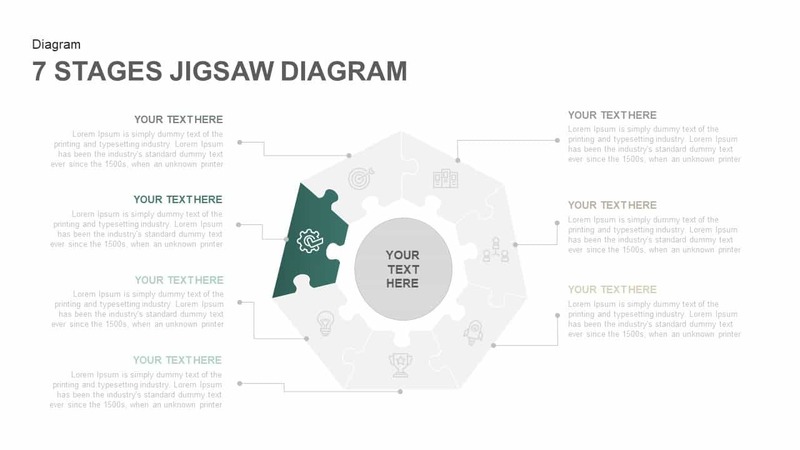 The users can utilize the empty center circles to display the key topic of the presentation. 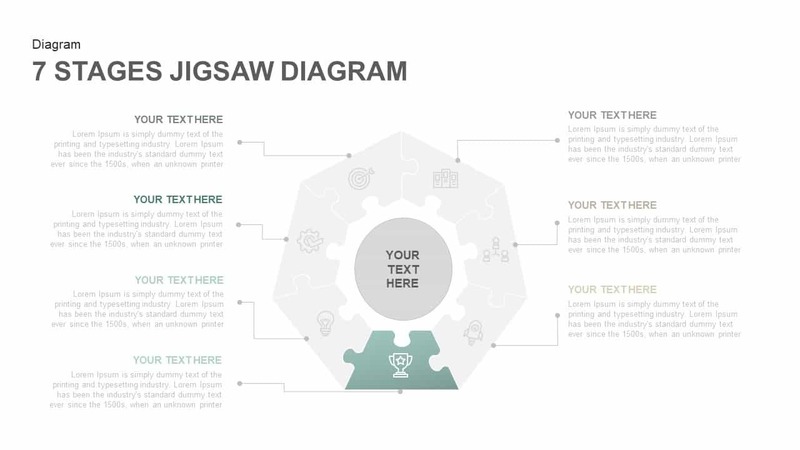 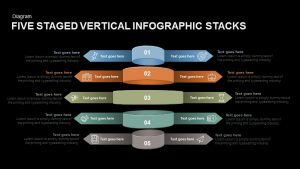 The customizable PowerPoint diagram of seven stage slide is a flat design. 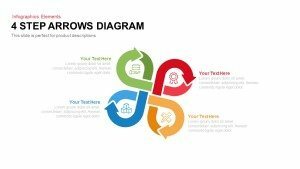 The shapes of the diagram create a wheel in the center, which shows the cyclic rotation of the business life cycle. 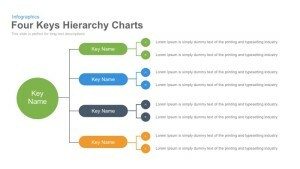 The users can change colors scheme and contrast. 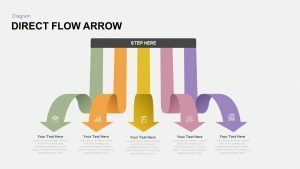 The diagram is available on two backgrounds and the each background color is modifiable or changeable using the PowerPoint options. 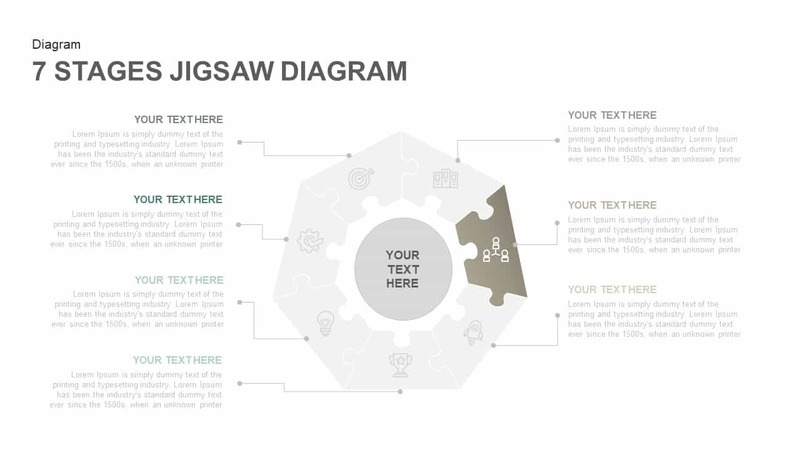 The ready-to-use diagram allows any type of presentation without any discrimination to the subject matter.